Did you know your skin is the largest organ in the body? This is not only a fun fact, but it’s important for getting the most out of your health and appearance. The skin serves as your first line of defense against disease and infection. It also the first thing people will notice about you and has a big impact on your appearance. Our skin takes a serious beating every day from the sun, hot water and other forces which is why doing everything you can to protect the skin and promote healthy cell rejuvenation is vital. Vitamins and Minerals: It is essential that your lotion contain a variety of vitamins and minerals that work towards repairing skin. These may include vitamins B, C, E, zinc among others. Antioxidants: These are what prevent wrinkles and sun damage from occurring on the skin. In fact, antioxidants are perhaps the most effective way of preventing aging (Skin Care Vitamins and Antioxidants). Ingredients like pomegranate and grapeseed oil are chock full of them. Alcohols: Many lotions contain alcohol, which is actually a bad idea. This is because alcohol dries out the skin (Here’s How ﻿﻿Alcohol Wrecks Your Skin﻿﻿… And How To Choose The Least Damaging Drink), instead of giving it moisture, which leads to an unhealthy appearance. Instead of alcohol, look for natural oils to provide moisture. Parabens: These are a group of compounds that have been used by pharmaceutical companies for decades as preservatives for cosmetics. These compounds, however, have been found to contain xeno-estrogens, which are potentially harmful substances for health. Not only that, but they have adverse effects on estrogen levels which is very bad for men’s vitality. There are a number of lotion options out there, but how can you tell what’s best for you? There are a few factors that you should take into consideration. For one, many men’s body lotions are full of cheap chemical ingredients which can be not only ineffective, but harmful to skin. It is in your best interest natural as possible for products that you apply to your skin. Are you in the sun a lot? Then you’ll need one with plenty of SPF. ​Do you sweat heavily? Then make sure to get a lotion that doesn’t get runny when exercising. Are you sensitive to smells? Then avoid a body lotion with fragrances. On that note, remember that the primary function of body lotions should be moisturizing. Many body lotions, however, are filled with processed fragrances and ingredients that do little for moisturizing. Make sure to use body lotions that contain natural moisturizing agents like shea butter and coconut oil. You also have to keep a close eye out for what’s really in these lotions. Companies try to sell their product using labels like ‘natural’ and ‘organic’ when in fact these products are no such thing. Use the ingredients above, in addition to your own research, to find out what specific products are best for you. There are plenty of quality lotions out there, but if you really want to get the most out of these products then you’re going to need to evaluate your skin type and see what product your skin will respond best to. So just as you need to take lifestyle factors into consideration, you also need to take skin type into consideration. Don’t know your skin type? Check out this YouTube video that gives a clear overview of the various skin types and this Reddit ﻿article for more details in determining your skin type. Although normal skin is not perfect—expect occasional dryness and oil buildup in the t-zone—you probably have pretty resilient skin without many issues. For the most part your skin should be smooth and hydrated. 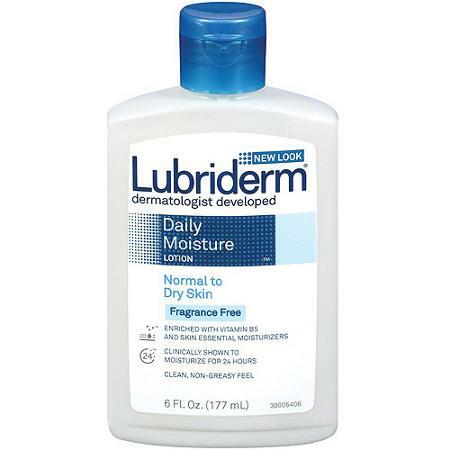 A great product all-around is Lubriderm moisturizer. Notice how this moisturizer is fragrance free? They all should be like that, as fragrances are just extra chemicals that have the potential to cause irritation. Oily skin often affects younger men or guys with active hormonal systems. The hormones in the body cause an overproduction of oil on the nose, forehead and cheeks. This often leads to breakouts because of pores becoming clogged. 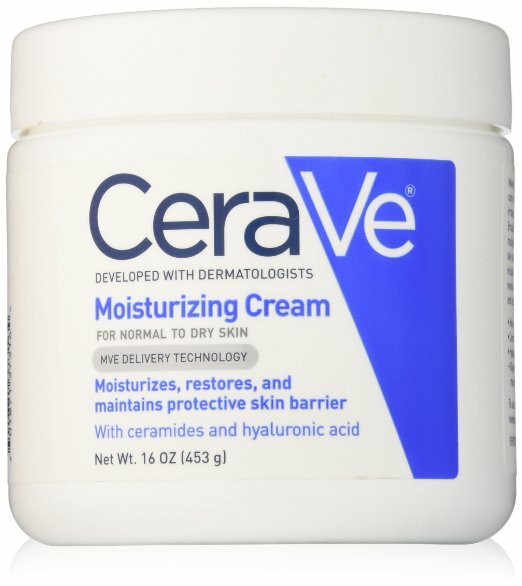 One of the best brands in skincare is Cerave, and their moisturizer is great for oily skin. It is non-comedogenic, non-irritating, and developed carefully with the help of dermatologists. Dry skin is characterized by little to no oil on the face. This is not a good thing as it can often lead to flaky, red and tight skin. This can lead to an aged face with wrinkles and pronounced pores. It is important that a moisturizer for dry skin provides the maximum amount of moisture without being overly greasy or runny. Nivea Maximizing Hydration lotion deeply penetrates pores to keep your skin feeling fresh all day. Combination skin is skin that is characterized by periods of both dryness and oiliness. This can occur at different times of year, or even simultaneously on different parts of the face (e.g. oily T–zone and dry chin and jawline). 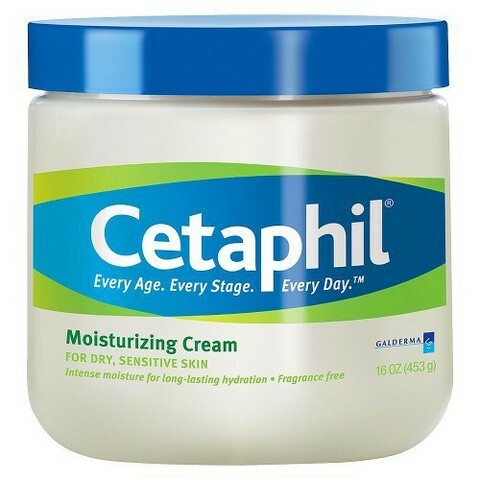 Your best bet is with a gentle, reputable moisturizer like Cetaphil. Cerave (mentioned before) is also good here. But that’s the beauty of experimenting—try different products and see what works best. Although all of us may experience sensitivity with our skin at some point in time, there are many people who regularly suffer from easily irritable skin. This is characterized by dry, tight and inflamed skin in response to products that come in contact with the skin. For people with sensitive skin, it is necessary to use products that have as few chemicals as possible. One such brand is Vaseline—a household name when it comes to skincare. 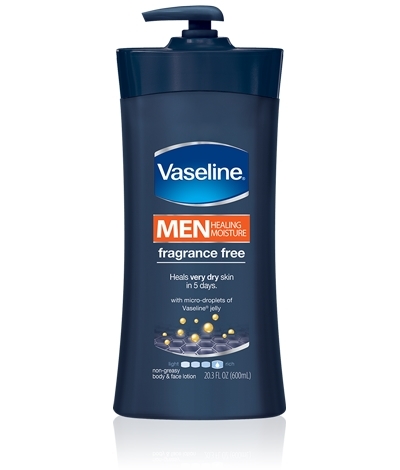 Vaseline’s Men Body Lotion has no harsh chemicals added, perfect for keeping the skin hydrating and soothed. Note: A good time to use body lotion is right after a shower. What this does is that it helps the body maintain proper moisture levels. This will help your skin feel fresh throughout the day. It’s hard to apply too much body lotion, but only apply it when you feel you need more moisture. This often occurs in the winter time, or in dryer climates, though it’s a good idea to use body lotion year round for optimal skin. Using body lotion for men is a simple, yet powerful way to improve the quality of your skin. Identify which skin type you have, and consider using the recommended product. Your skin will thank you later. Do you have a favorite body lotion that you use? Share with us below! Previous article My Ex Hates Me – What Can I Do About it? My Ex Hates Me – What Can I Do About it?